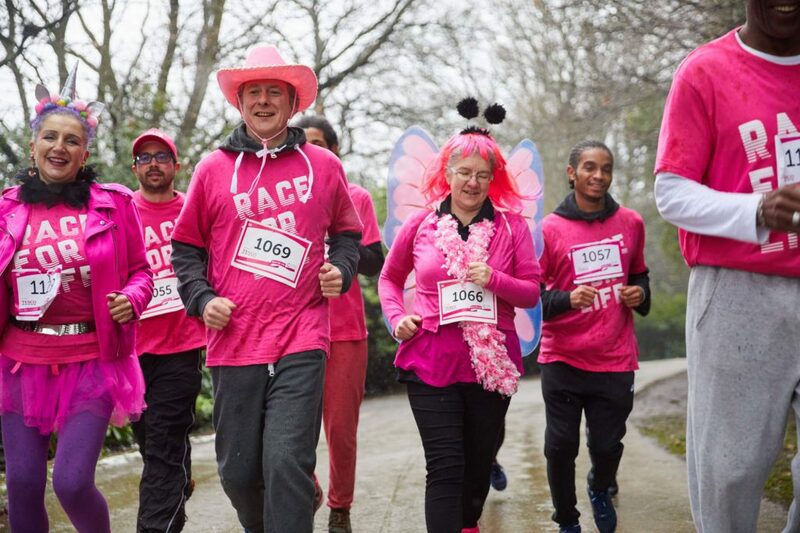 The Race for Life 5k is a series of routes around the country that give people of all ages, backgrounds and abilities the chance to come together and show cancer who’s boss. They’re not races, or runs, and everyone wins the Race for Life (except cancer). Five kilometres is just over three miles, or about the same length as a walk with the dog, a spot of sightseeing or a shopping trip. This accessible distance is what makes Race for Life the perfect event to take part in with your friends and family.